Our product range includes a wide range of battery discharge indicator. We are among the leading manufacturers and suppliers of supreme quality Battery Discharge Indicator. The raw material that is best in the market is used for the manufacturing of this product. Available with us at highly affordable market prices, these products are widely used for indicating the battery's state of charge in many industrial applications. Model 700: 2-wire hour meter, displays only when powered AC/DC. 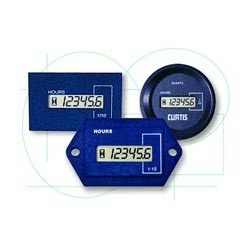 Model 701: 3-wire hour meter; has provision for continuous display AC/DC and DC. Looking for Hour Meters ?